If you are interested in taking a course that doesn't waste your time...this was a great course! 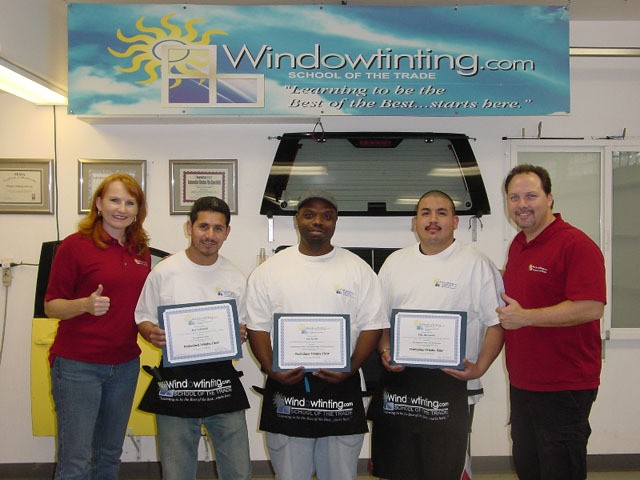 Get registered with Windowtinting.com! Thank you Robert and Jaymi. I was really skeptical about traveling 2,890 some mils to learn how to tint windows. After about twenty minutes into class on the first day I realized Robert knew his stuff. Not only am I leaving with a wonderful experience, I also have the information that's needed to get my business off the ground and running. Thanks a lot Robert and Jaymi. It's been great! Robert and Jaymi were very helpful. I recommend their course. I loved his teaching and also how detailed he was.